Pricing derivatives theory comes alive in this self-contained interactive experience in financial pricing. The no-arbitrage perspective in a one-period state-preference model drives the book, and the Maple® and Matlab® programs help readers visualize payoffs and respond to various constraints and conditions. 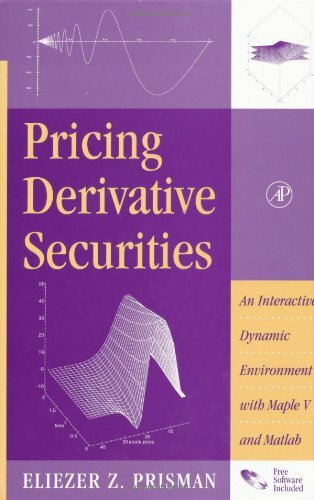 With clear explanations and lavish illustrations, Pricing Derivative Securities: An Interactive, Dynamic Environment with Maple V and Matlab teaches the core theoretical concepts so often disguised behind difficult terms and institutional details. Readers can experiment with the electronic packages forever, using the book and its solutions manual as a tutorial that can help solve problems of increasing complexity.